Scott Lavender is a both a talented conductor as well as a fantastic pianist, he has worked with the National Symphony, Detroit Symphony, The Los Angeles Philharmonic and many more. He holds a Bachelors Degree for Music in Piano Performance from Bowling Green State University in Bowling Green, Ohio. After this he was awarded a Masters Degree in Instrumental Conducting from California State University. 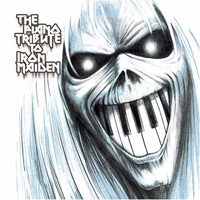 In early 2005 he recorded this tribute album for release on Vitamin Records (located in Los Angeles, California) featuring some of Maiden's best known tracks put together into a symphony that sounds perfect on every track when played on piano. The album is widely available at online retailers such as Amazon and if you haven't previously heard any of the material included, simply click on the preview links after the track to get a taste of what this album sounds like.